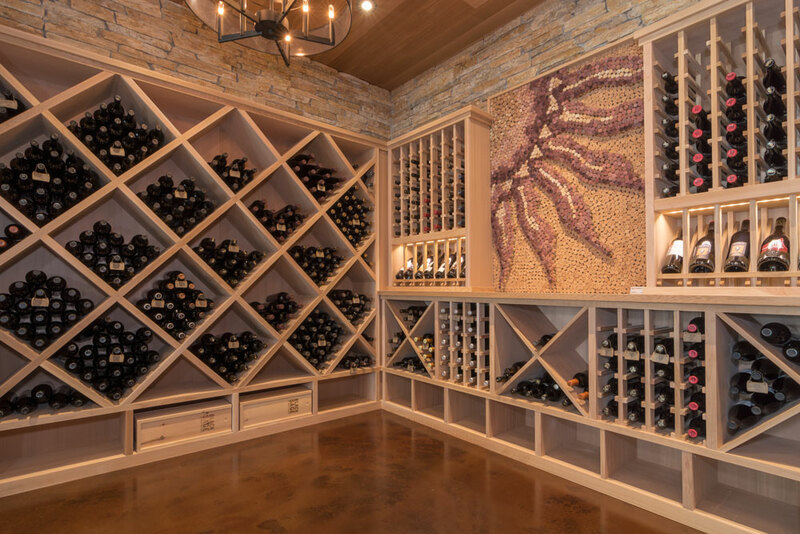 Our design and production team are always putting out great work, but they went above and beyond on this custom vanity unit. 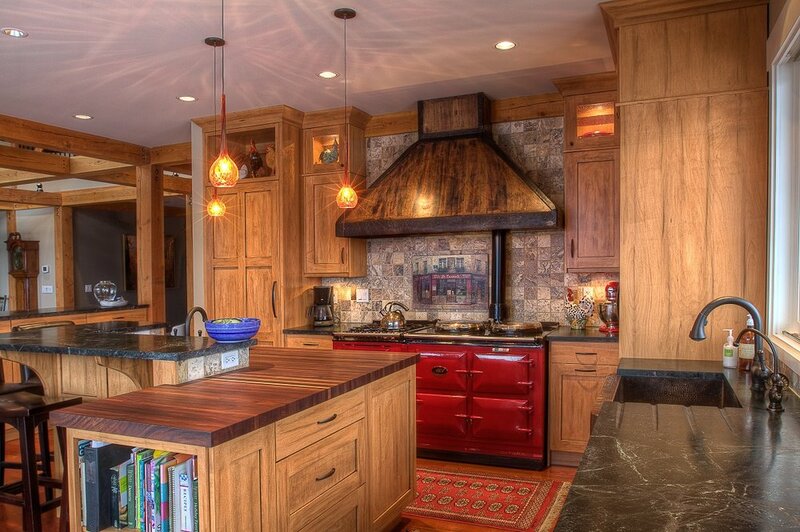 Bold Colours and chalked finishing details create a great rustic look in this eclectic kitchen design. 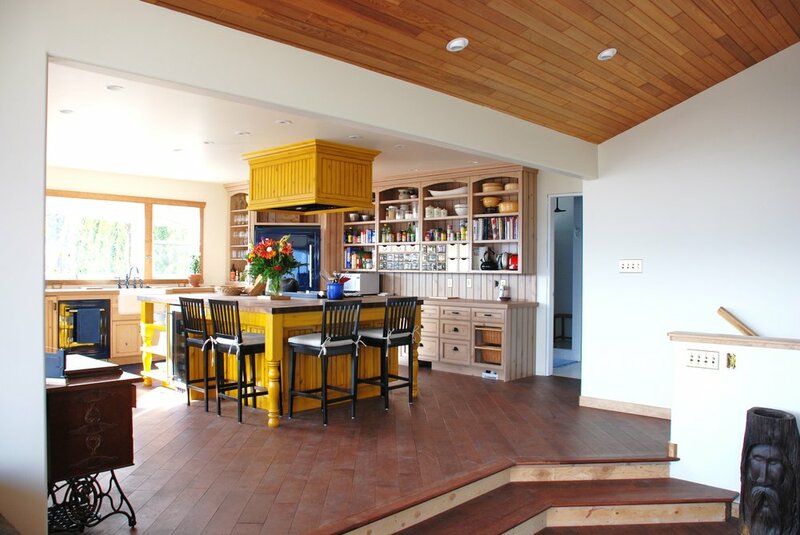 Ellis Creek Kitchens provided cabinetry for this Eclectic Kitchen design. 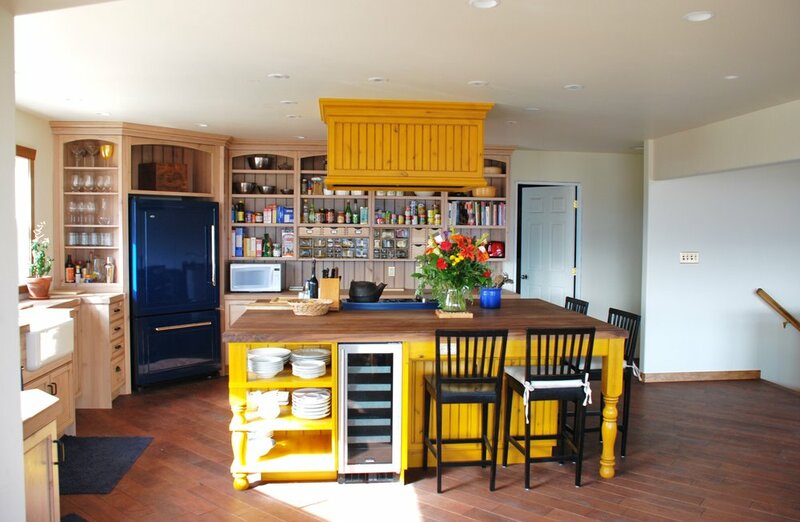 The bold yellow paint colours contrast nicely with the Solid Walnut island countertop and blue appliances. 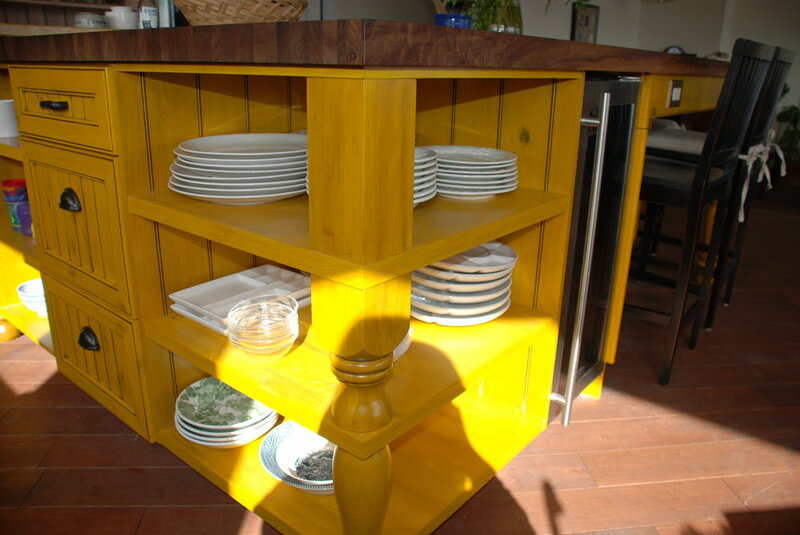 Clear wood finishes and chalked base cabinets add to a rustic feel. 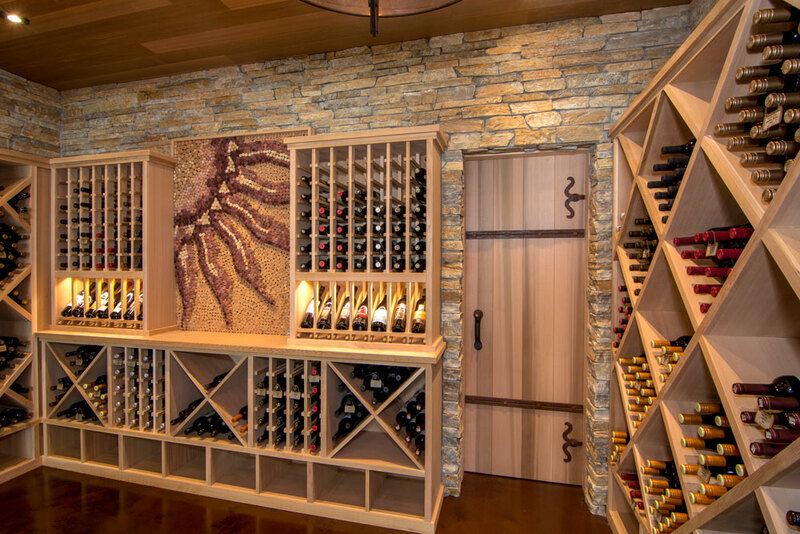 Custom Cedar Wine Display Cabinetry with a cork art wall feature.